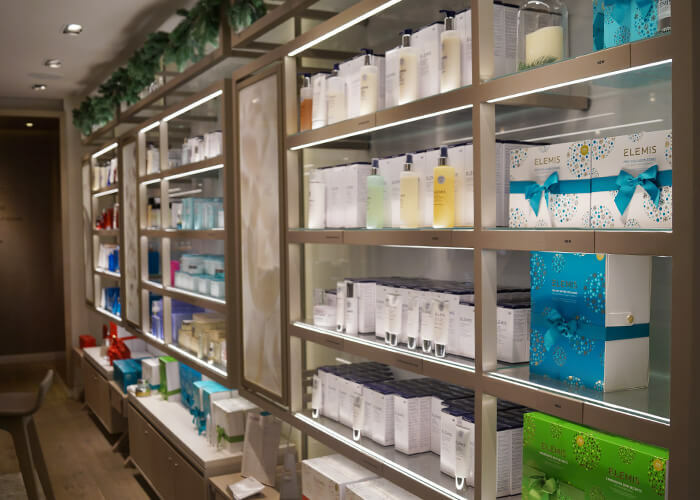 If there was ever a time of year to indulge, it would definitely be December – and if you’re in need of inspiration, look no further than The House of ELEMIS in Mayfair, where I had the most private, luxurious spa experience ever. After arriving at the gorgeous townhouse, my mother and I were warmly greeted and sent up to the opulent Penthouse Suite. An absolutely beautiful room – bigger than my first flat in London (although that isn’t hard to be fair), that I wish I could live in all the time. The suite has a lovely communal sofa area, bookended by two spacious massage rooms. 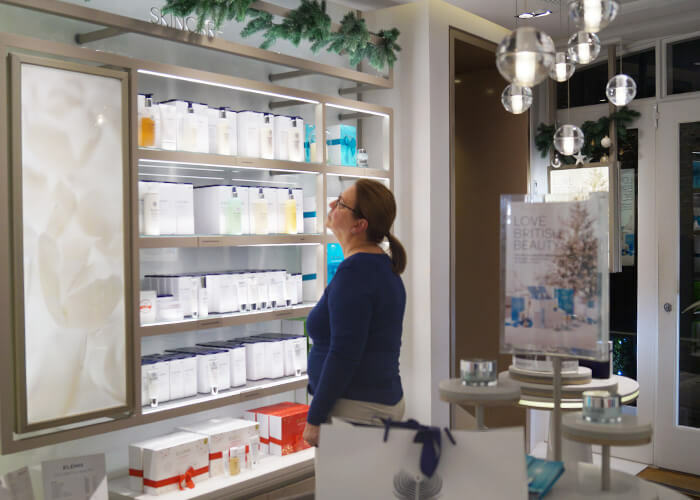 My mum and I each had our own ELEMIS Elite Therapist, and once we were done ogling the suite, they showed us to our respective rooms to start an in-depth beauty chat. My therapist and I sat down and discussed my skin type, my main concerns with my skin, the type of products I use, and if I had any issues with my back for the massage. It was incredibly detailed, giving me the sense that this experience was uniquely tailored to my specific needs. The ELEMIS Elite Therapists listen intently and from there decide what facial and massage will be given. While my facial and massage needs were pretty straightforward, (general combination skin, and just wanting a good ol’ massage) I know that my mum’s therapist really listened carefully to her back problems and made sure that during the massage my mum was completely relaxed, comfortable, and not worrying about being in any sort of pain. Once the chit-chat was over, it was time for the good part. We were left to undress and get into our massage beds (and let’s be honest, to look around some more while mouthing “this place is amazing!” to each other). The lights were then dimmed, and the partitions put in place for the massage to begin. The massage was amazing and my therapist was attentive the entire way through, while making sure that I could fully relax and immerse myself in the experience. 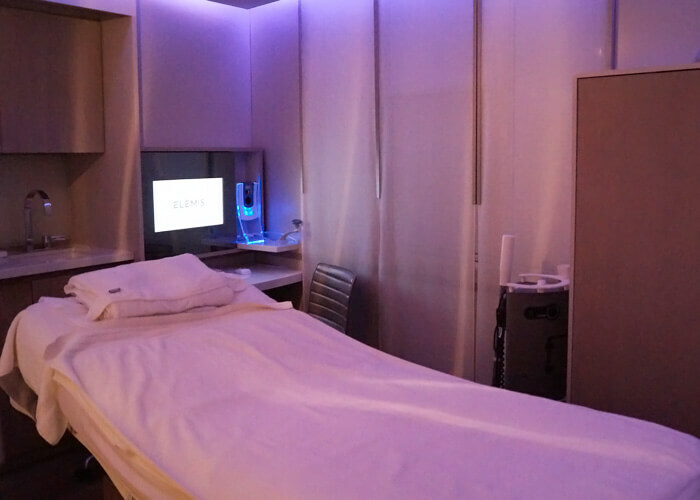 The facial followed, and this was where you can see how The House of ELEMIS combines beauty with science. It was a truly unique experience which included a glorious skincare routine specifically tuned to my skincare needs, with a facial massage, using the impressive Couture Technology which left my skin feeling and looking incredibly plump. After a good hour, the facial and massage, unfortunately, came to an end. We were left to get dressed and come downstairs at our leisure, and when we got to the shop floor, two lovely glasses of champagne were waiting for us. There was also water and very dubious looking charcoal shots (which did taste better than they sounded). 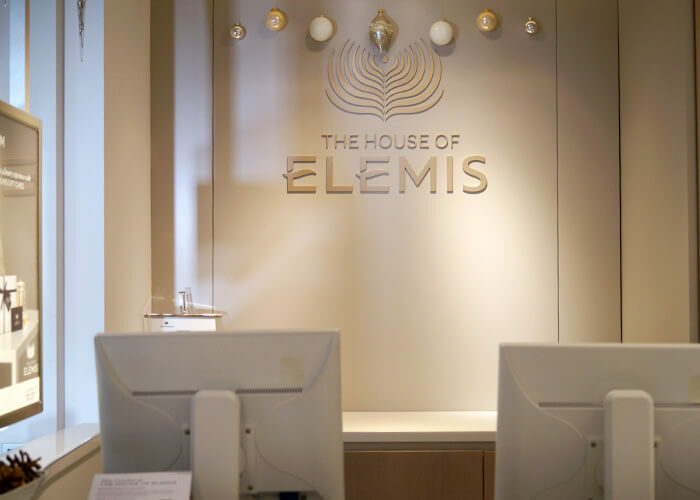 While sipping our champagne, we were talked through the ELEMIS products that were used and what they would recommend we use in our skincare routine. The House of ELEMIS gifted my mother and me with two lovely gift bags of ELEMIS products, which really was the cherry on top of an already amazing experience. I’ve been using the products myself now since the treatment, and the Nourishing Omega-Rich Cleansing Oil smells amazing and is blended with over 90% natural oils, making it feel amazing on my combination skin. The Superfood Facial Oil has also been a godsend, especially in these colder months, for its lightweight, non-greasy formula that makes my skin feel so nourished and protected. 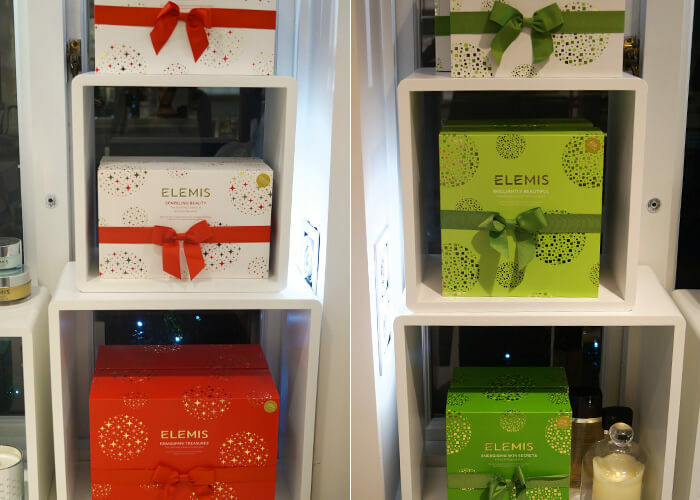 If you need any last minute Christmas gifts, or just want to treat yo self, then ELEMIS products are definitely a great choice and they have a selection of really lovely packages that would make any Christmas Day and 2018 feel luxurious. Have you taken a look at our other Pampering and Spa experiences? Always nice to see such a high end take on skin-care. Great find!